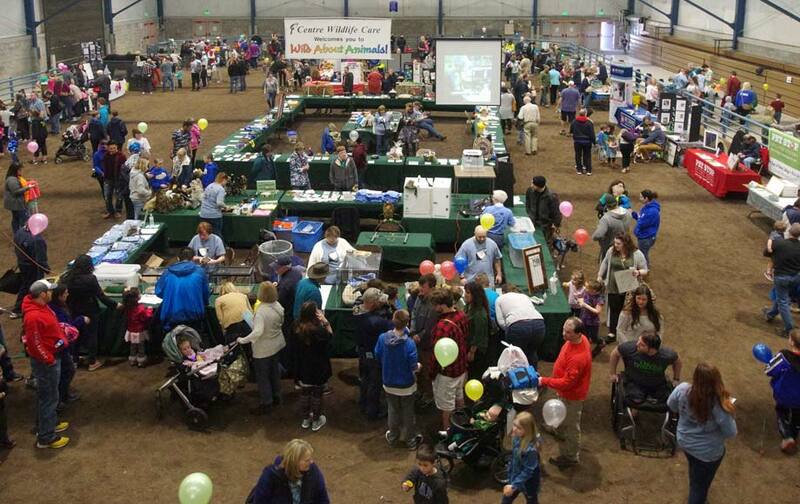 Centre Wildlife Care (CWC), in association with SEAC (Small and Exotic Animal Club), hosted the 19th annual Wild About Animals event on March 31, 2018, in support of Centre Wildlife Care, a nonprofit organization devoted to wildlife rehabiliation. 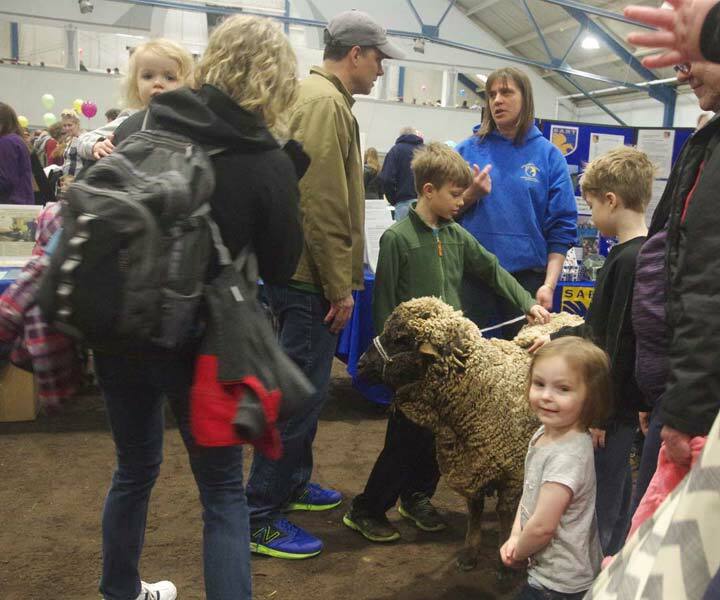 The exhibitors on the main floor covered everything from wildlife rehabilitation to small pet care and services. 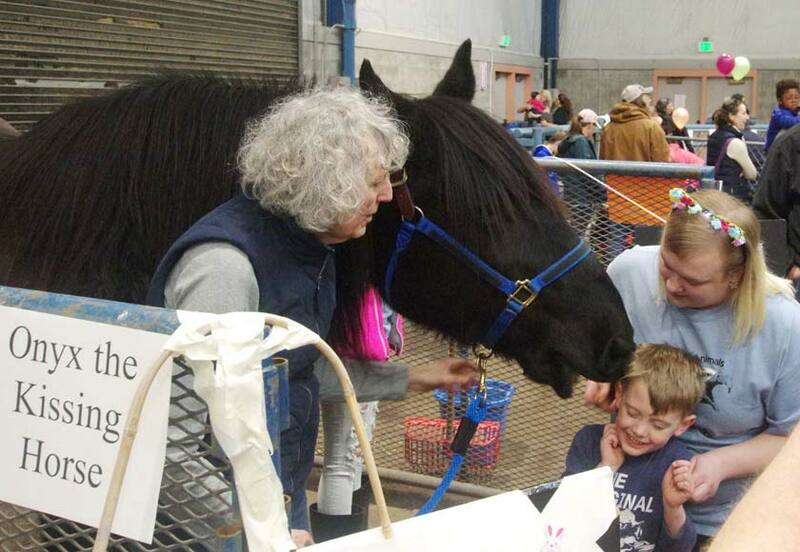 After missing last year's Wild About Animals, Onyx the Kissing Horse made a very welcome return. Animals from the petting zoo of Restless Winds Farm occasionally joined the visitors for that special pet. 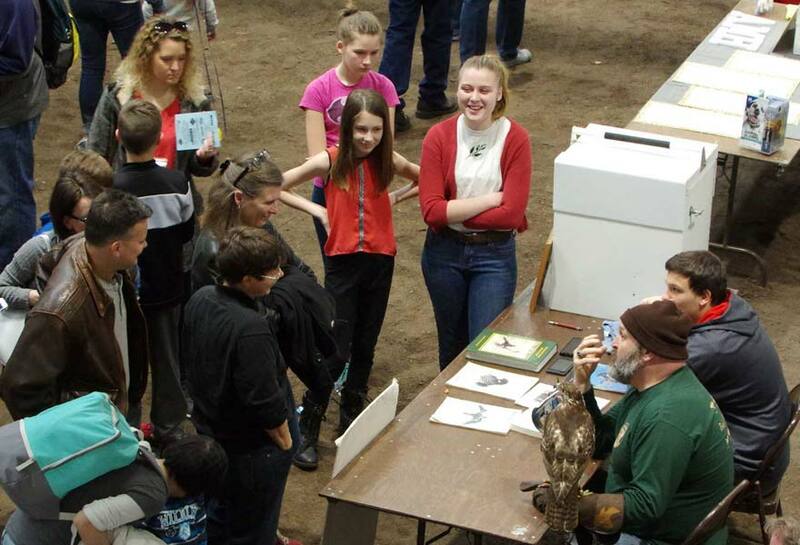 Talking about falconry, Fran Gray was (again) a popular exhibitor. 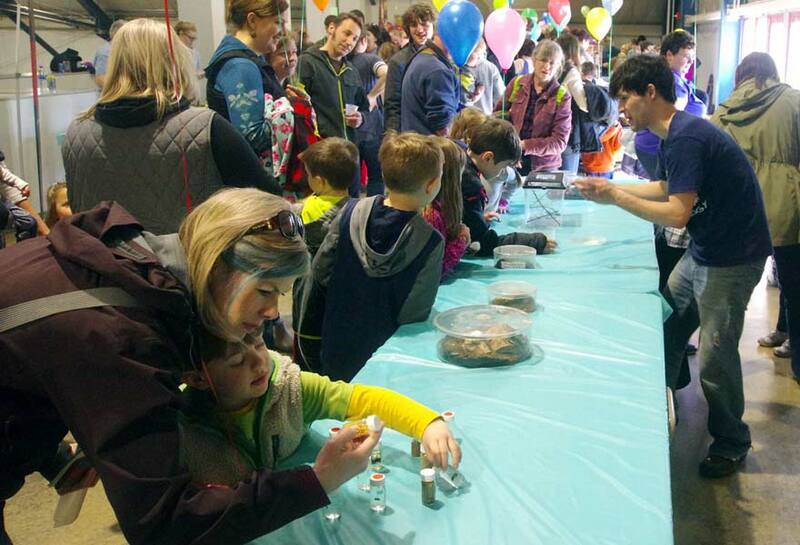 Upstairs in addition to various games, face painting, and crafts, the Penn State Entomology exhibit Wild About Bugs returned and generated much pleasure. For the 19th annual event, I've a public FB album (open to everyone) of over a hundred twenty photos featuring the merry highlights from WAA. The photos and text are put together by me for Robyn Graboski. Any mistakes, omissions, errors, and so forth are all my own. For more information on Robyn's wildlife rehabiliation, please visit her site Centre Wildlife Care.